Side Stripe Pants in Black. We’ve upgraded the track pant with these side stripe pants sleek enough for your 9 to 5. Black pants by Catch designed with sporty red stripes on both sides and slightly cropped length. Waist secures with button and zipper fly and adjustable drawstring tie to easily customize the fit. Black trousers made with cotton blend with minimum stretch in fabric. Additional features include front and back pockets and belt loops. 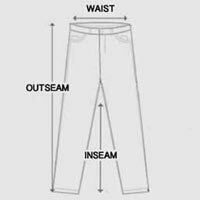 A great way to go casual in tapered pants with a low crotch that rests loosely around the thighs. If you’re after a fresh athleisure look, go for these black side stripe pants with a clean finish.